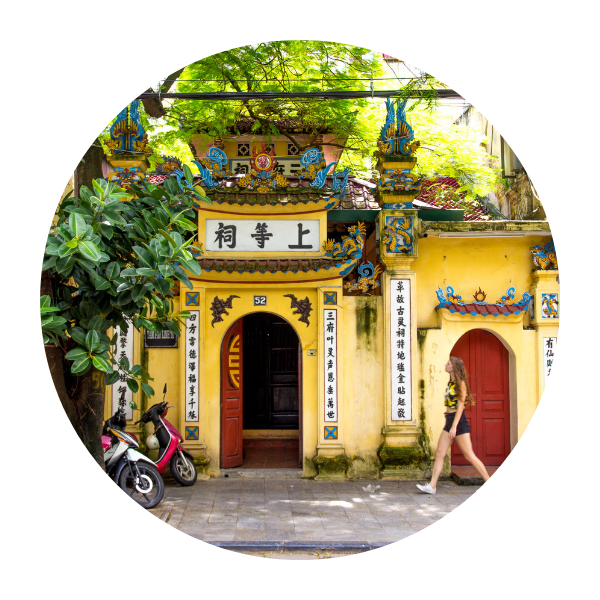 Vietnam, a country known for its food and vast landscapes, a country that has some of the most stunning views you will find in Asia, a country that deserves to be explored. Southeast Asia is not like any of the other Southeast Asian countries, as the country is a long thin stretch of country the climate between the regions vary, and the views and landscapes change with every town and city you visit. Explore the North of Vietnam to find some of the most stunning mountain regions, explore Halong Bay or wander around the hustle and bustle of Hanoi. Then, when you have explored the North extensively, slowly make your way down South stopping in stunning places such as Ninh Binh and Phong Nha to admire Vietnam’s landscape, and stop in Hoi An and Hue to find yourself in some of the most quaint towns of Vietnam, waiting to be explored. From Hoi An, slowly travel further till you reach Ho Chi Minh City and the Mekong Delta. Vietnam has many places, both city and nature, that you can explore, and simply seeing everything will take you months. Scroll down below to find all our tips and tricks for Vietnam, including things to know before you go and everything you need to know about riding a motorbike in Vietnam!